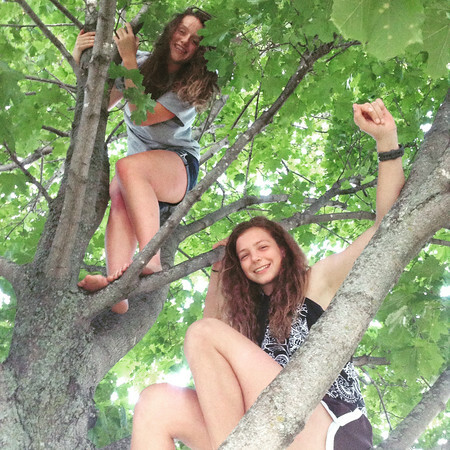 It took only moments for Abby and Bella to scamper up into the tree. The biggest issue, as always, was how to get down. Photo by Stephanie Johnston.